Dual sport riders are a unique bunch. The motorcycles themselves have to pull double duty. 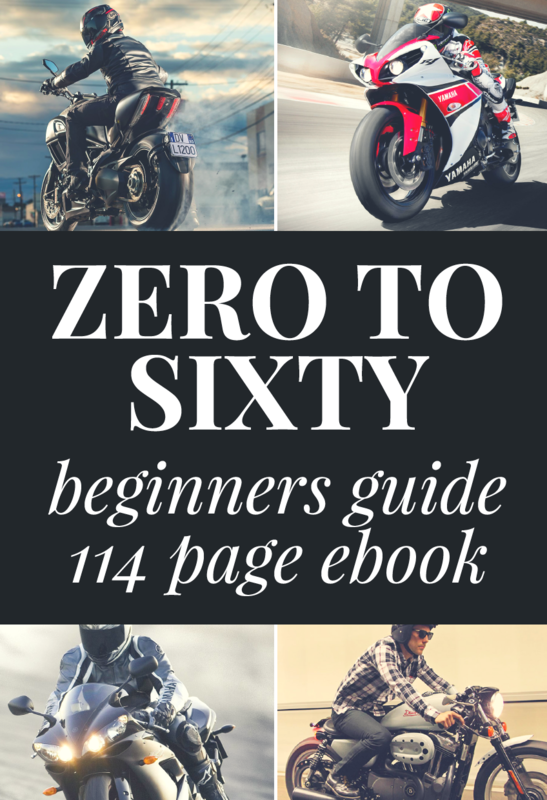 That means the riders have to know how to ride both on the street and on the dirt. The duality doesn’t end there. Dual sport riders need gear that’s suited for both environments, too. A dual sport helmet has to blend features of a street helmet with an off-road one. This usually means some kind of compromises must be made. The best helmets out there are the ones that make the fewest of those compromises, though they may lean one way or the other. With the long list of options out there, you could search for weeks for the right dual sport helmet. We’ve decided to narrow it down to the five best helmets. The ones below offer the best of both worlds, which is exactly what every dual sport rider needs. 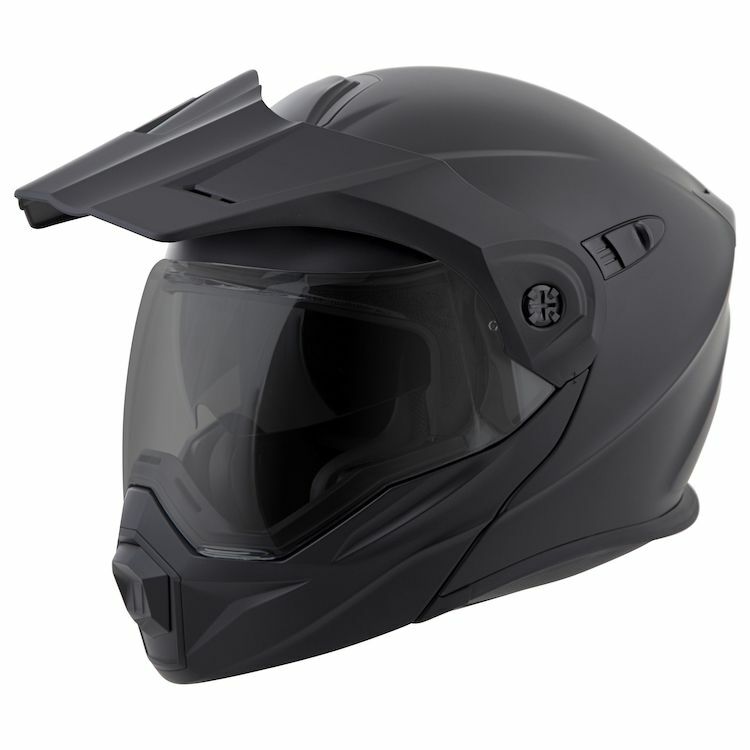 The Scorpion EXO-AT950 is an excellent blend of a street helmet and off-road helmet design. It provides a modular chin bar design, allowing you to get a little extra air when you need it. The helmet is also designed to accommodate goggles for off-roading should you want to wear some. It comes in at a comfortable 3.77 pounds. The EXO-AT950 comes with a long list of features, including large intake and exhaust vents, Ellip-Tec Ratchet System for the face shield, an anti-scratch EverClear No-Fog face shield, internal drop down sun visor, anti-microbial helmet liner that’s removable and washable, communication speaker pockets, removable peak, and a five-year warranty. 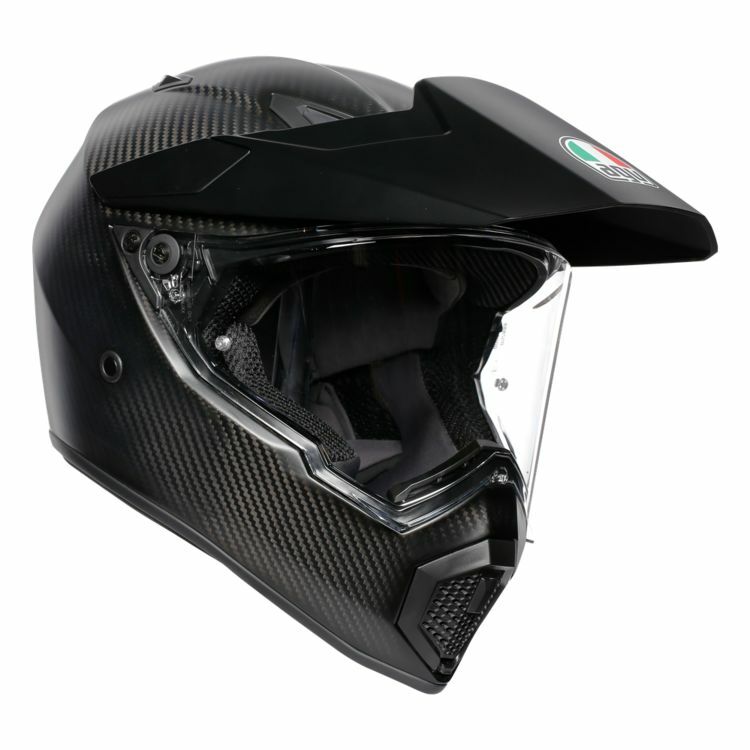 The helmet consists of a polycarbonate shell and multi-layer EPS. 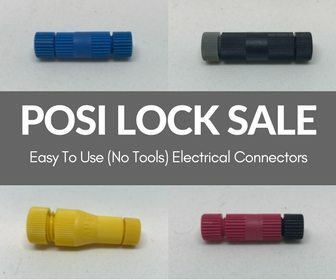 This helps make it a safe lid for both off-road and on-road riding. The shell comes in three different sizes that help enhance the fit and keep the profile sleek. 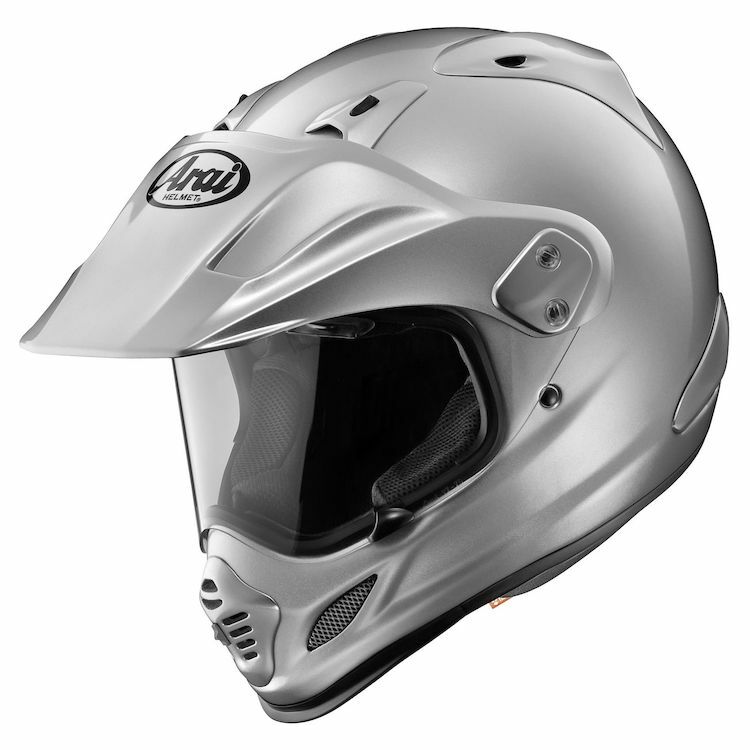 The Arai XD4 is a seriously advanced helmet designed for both street and off-road use. The helmet takes Arai’s prowess in the market and brings it to the dual-sport and ADV market. The XD4 features many of the things that other helmets in the Arai lineup do and it comes in at a lightweight 3.66 pounds. Features for the XD4 include a fully removable microfiber comfort liner with 5mm temple peel away pads for a better fit, an aerodynamic shell, removable peak, large intake and exhaust vents on the top of the helmet, and a special chin vent for additional air. The XD4 is world renowned for being one of the few Snell-rated on-road/off-road helmets. The helmet features a fiberglass shell and multi-layer EPS. The helmet comes with five different shell sizes, keeping the helmet’s overall size appropriate. 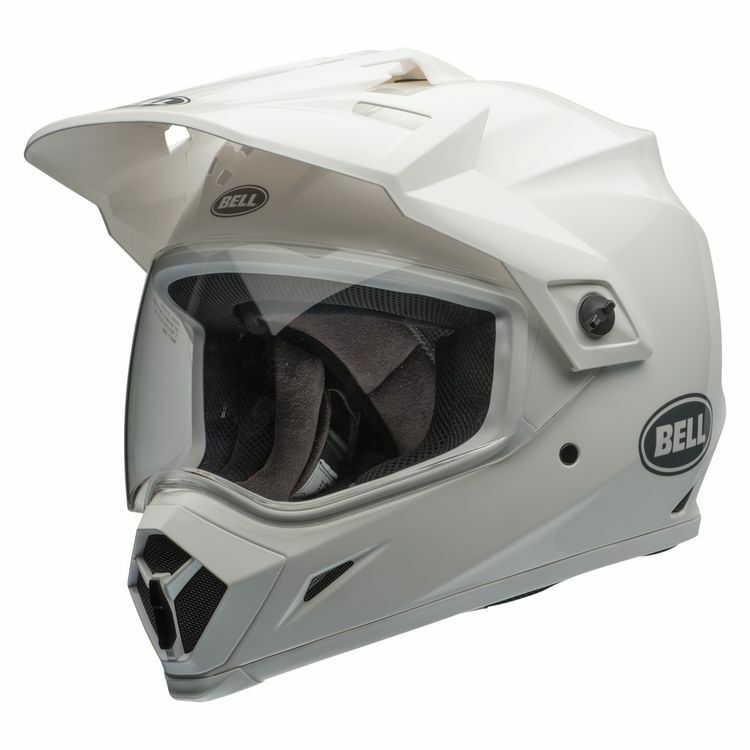 The Bell MX-9 Adventure MIPS is perfect for a blend of street and off-road use. With that said, this helmet leans a little more towards the off-road side of things. 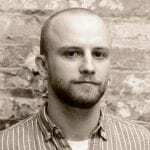 It comes in at a comfortable 3.74 pounds and offers a long list of features. The helmet offers a large, integrated face shield, what Bell calls a Velocity-Flow ventilation system, a removable interior liner made of moisture-wicking material, EPS-lined chin bar, adjustable mouth vent, a padded chin strap, and a five-year warranty. The Bell MX-9 Adventure also provides a polycarbonate shell and its Multi-Directional Impact Protection System. The helmet also comes in three different shell sizes to keep the overall size appropriate for the size helmet you need. A major step forward from the AX8 DS EVO helmet, the AX9 takes AGV’s street, off-road lid game to a whole new level. The AX9 is a helmet that can be configured in four different ways, depending on your preferences and the riding conditions. The helmet is more aerodynamic than ever before, comes in at a comfortable 3.69 pounds, and has some excellent features. As far as what those features are, the AX9 comes with a removable chin vent guard (tool-less), several large intake vents and two exhaust vents, a Pinlock-ready visor, adjustable peak, and speaker pockets. The 100 percent carbon fiber shell comes in three different shell sizes, so no matter what size you get, you’ll have an appropriate shell size for your head. That paired with the four-density EPS make it one of the safer helmets around. If you’re looking for a dual-sport helmet that truly gives you the best of both worlds, then the Klim Krios helmet is the one that you want. 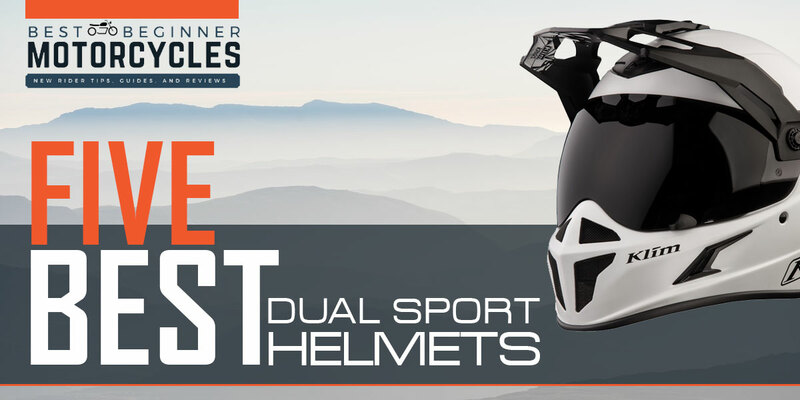 It’s one of the most advanced, feature-packed, and lightweight helmets on sale in the dual-sport or adventure motorcycle helmet segment. 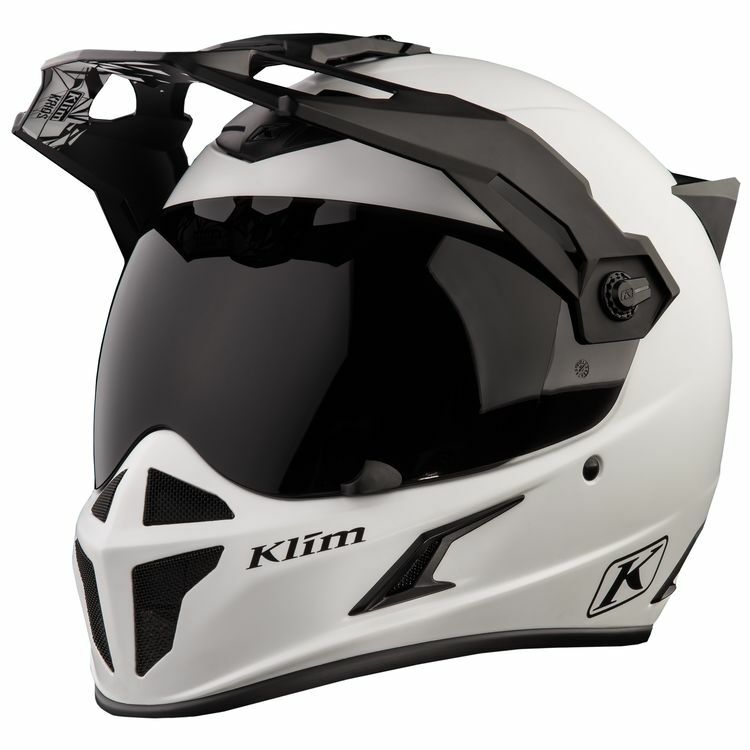 It features an aerodynamic visor and spoiler, Klim’s removable Klimatek Fabric liner that’s moisture-wicking, quick release visor and shield removal system, plenty of large intake and exhaust vents, removable chin curtain, and a Pinlock-ready anti-scratch face shield. The Klim Krios has a carbon composite shell that is hand laid, and the shell comes in two sizes. That unique construction combined with the EPS inside the helmet makes it good for both DOT and ECE certifications.